I love the setting of Brave. It is such a cute movie. I was excited to make some good Scottish food. So get your haggis ready, here’s the food for Brave! These buns appear quite a bit, and boy to the triplets love them. I tried to find a historically accurate recipe for these, but I don’t think these buns are historically accurate. They didn’t have glaze like that back then. I ended up using a modified recipe for Hot Cross Buns, which existed in England at least, around that time. Put warm water, a bit of honey or sugar and yeast in a bowl. Let proof for 10 mins. Add butter, 1/4 cup honey, salt, egg, egg white (save the yolk for the wash), cinnamon, nutmeg and flour. Mix when and then knead for 5 minutes. Set aside and let rise until doubled. This is the cake that turns Merida’s mom and brothers into bears. I was a little more flexible with this recipe, because the witch has magic. 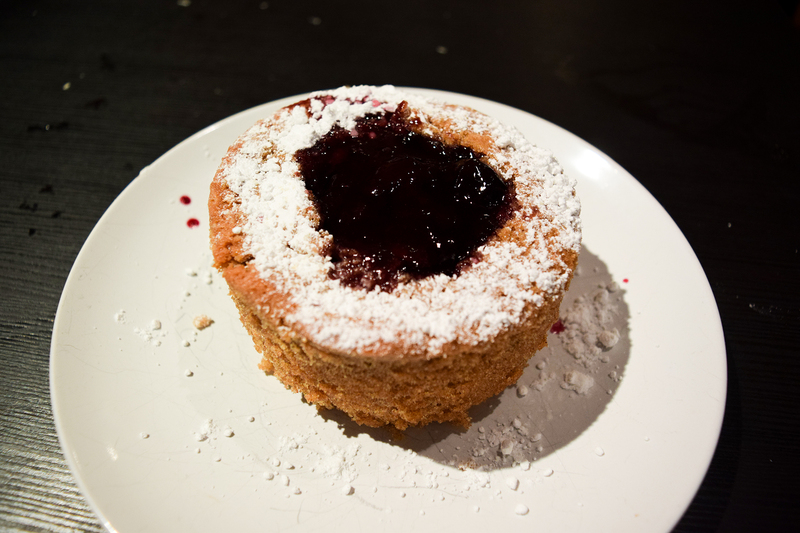 I made a sponge cake, and sponge cakes weren’t created for another few hundred years. But It seems to fit. The cake is supposed to be tarte and gummy….but sadly, I messed up and added too much sugar, but the recipe provided should remedy that. Mix sugar and butter together in a mixer or a bowl until smooth. Add in the eggs and vanilla. Mix until smooth. The final step is simply to fold in the flour until fully mixed through and you've added air with the folding. Cook in a moderate oven around 325F. Add the mixture to greased small cake pans or cupcake tin. Add that mixture to the cherries. Use a small spoon to scoop out the middle of the cakes. Fill the hole with the cherry mixture. Remember to patch things up with your family before you become a bear. When the family is sitting down to eat, the triplets have haggis. I’ve always wanted to try haggis, but sadly, I found out that the USDA doesn’t approve most of the ingredients that you need for haggis. 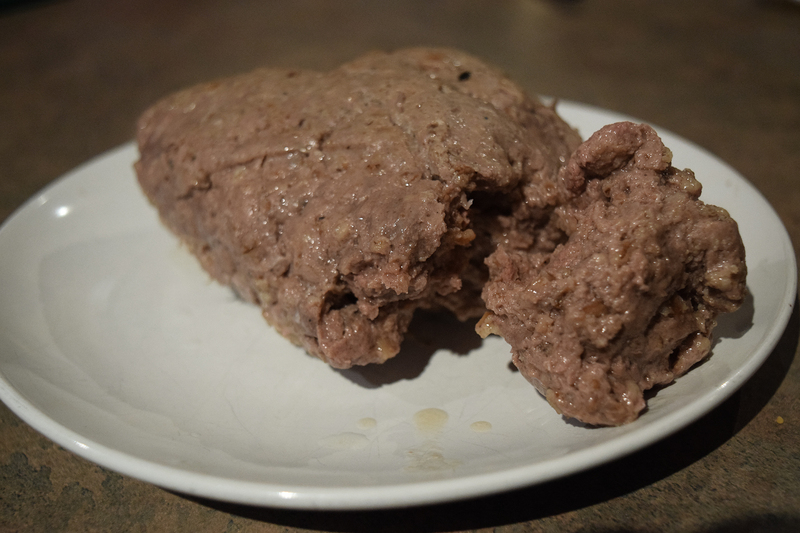 I found a mock-haggis recipe that uses ingredients found in the USA. But I’ll have to try real haggis sometime. Rinse the beef bung thoroughly, inside and out. Soak in lukewarm water for at least 1 hour. Saute the onion in the butter until translucent, and allow to cool. Mix the spices, onion, lamb, liver, oats and lard in a large ziplock bag. Put in the freezer until quite cold (even stiff) but not frozen. Grind the meat mixture using a large die. If you don’t have a grinder, chopping everything up into very small pieces might do the trick. Use less beer in the next stage if you go this route. Put the meat mixture in a Kitchen Aid on low setting for one minute. Add the beer, and mix on medium for one minute, until everything gets sticky. Cut the bung into three equal pieces. One will be closed at one end, open at the other, while the other two will be open at both ends. Sew one end of the two-ended pieces shut with a needle and (strong) thread. Stuff each bung bag with the meat mixture. Squeeze out all the air, but leave some slack in the bag so that the contents can expand. Sew each bag shut. Unless you have a big Burns Supper planned, you should probably put two of the haggises in the freezer at this point. Bring a large pot of water to a simmer, and add the haggis. Simmer gently for at least three hours. Will it Turn You into A Bear? 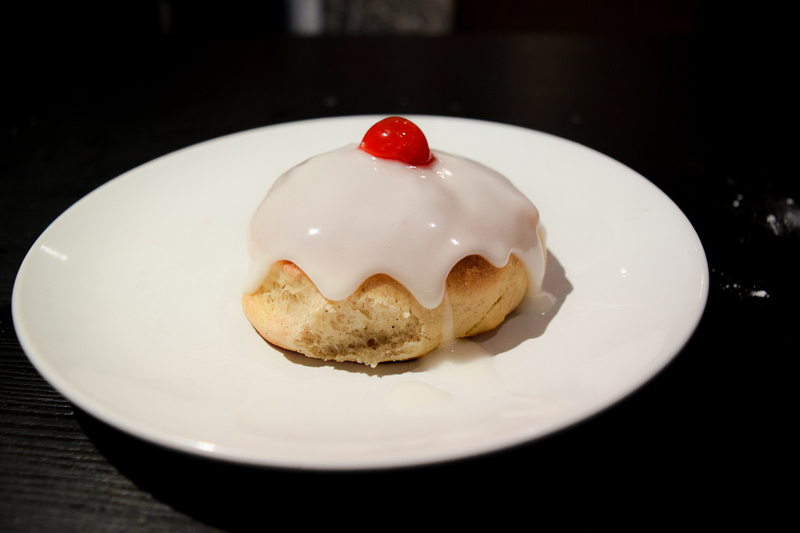 The Scottish Sweet Buns were definitely the biggest hit. They were delicious. Thank you for the recipes, I’ll have to try making these some time. This spell cake and sticky buns it sound delicious, as for the haggis? no way!!! I can’t wait for cooking these things!